I have Bread Insanity. I hope it isn’t contagious. Ever since last August I have made all of our bread. Today, we are completely out so I need to make some. This is the hottest record-breaking heat wave this area has seen since the 1800’s. Today it is 105°F outside with at least 80% humidity or more. 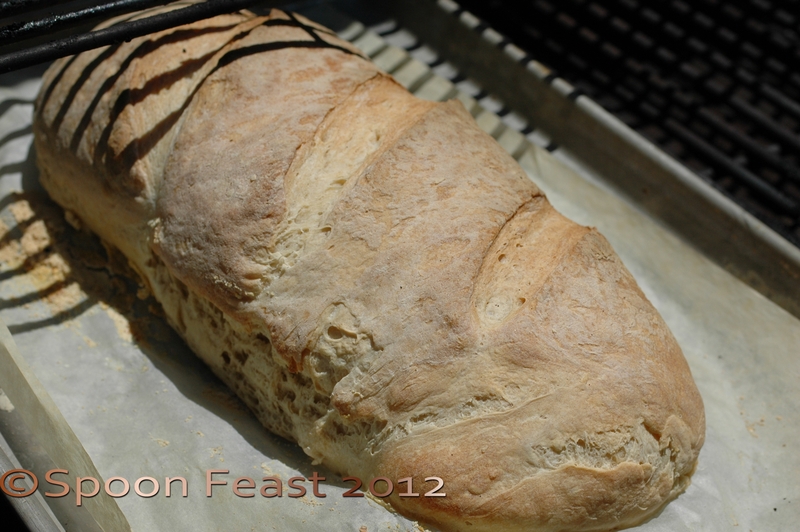 I decided not to run today because of the heat, why do I decide to bake bread? I need to make bread but certainly don’t want to crank my kitchen ovens up to 450°F for an afternoon on the hottest day of the year and the hottest day of June ever recorded here. So I decided to bake the bread on the grill. Brilliant! We have a wonderful workhorse of a grill that is over 10 years old. It is stainless steel and cranks 60,000 BTU‘s. Sweet. I have learned to control the heat chamber like an oven so , bread gets to be baked outside today. I have never done this before so it will be interesting how it turns out. Up goes the umbrella to provide the courtyard with shade. 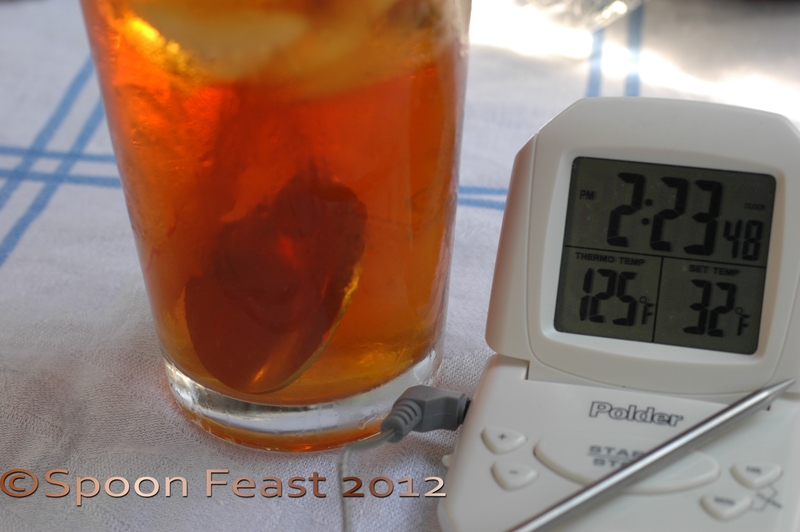 Tea and Thermometer while watching the grill waiting for the bread to bake. 105 F outside; hottest June ever recorded here. 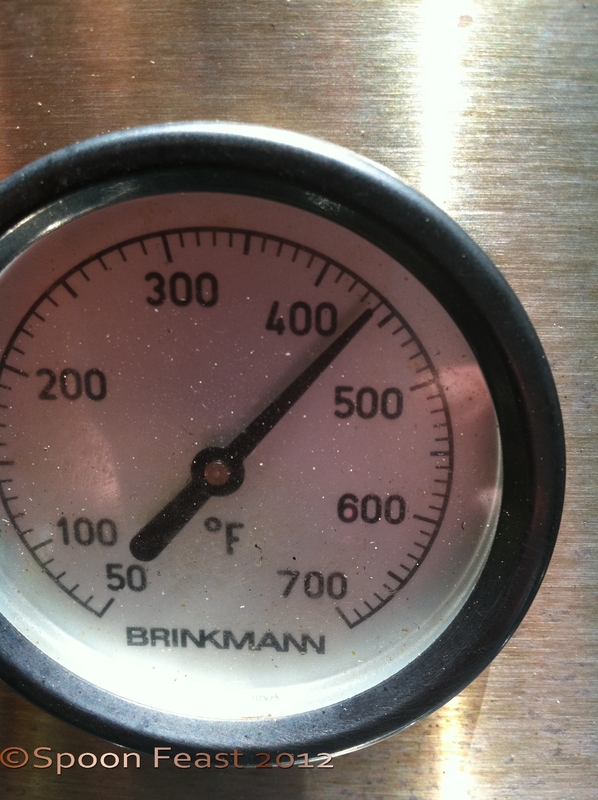 The grill set at 450 F raises the temp in the courtyard just a wee bit. Bread is rising; grill is heating. I have two loaves: one a traditional artisan loaf baked free form and the other in a cast iron pot. 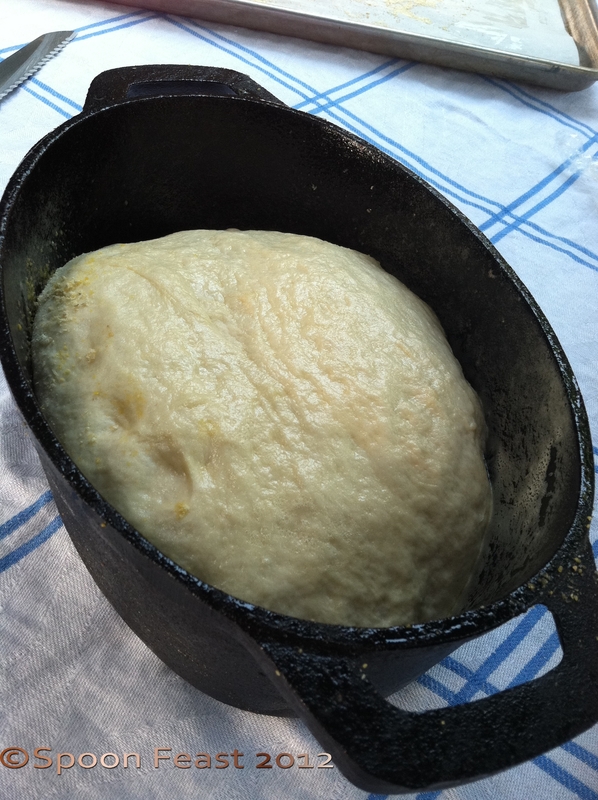 I wonder if the heat retention of the cast iron will have any influence on how the loaf bakes. 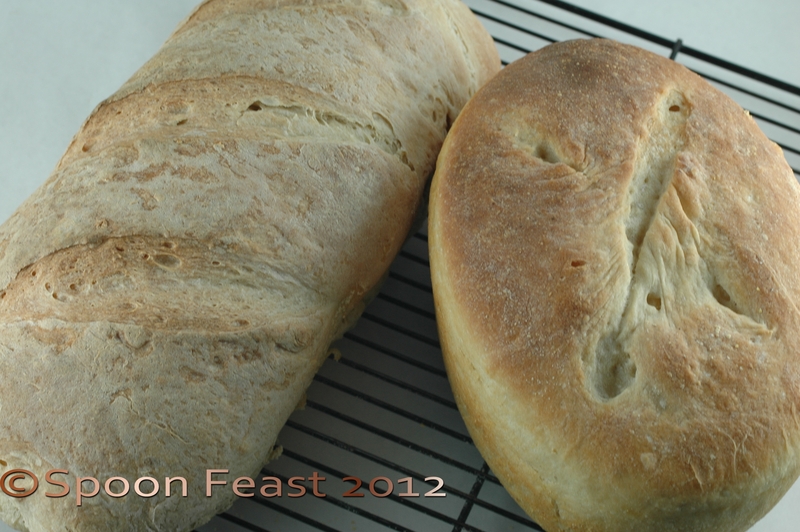 Since it is so warm out, I leave the loaves on the table, covered, to rise in the warmth. Which happened quite quickly today. After the grill had warmed for about 10 minutes, the first loaf goes in. The sheet pan fits. No window to peek in like the oven has. Timers start. 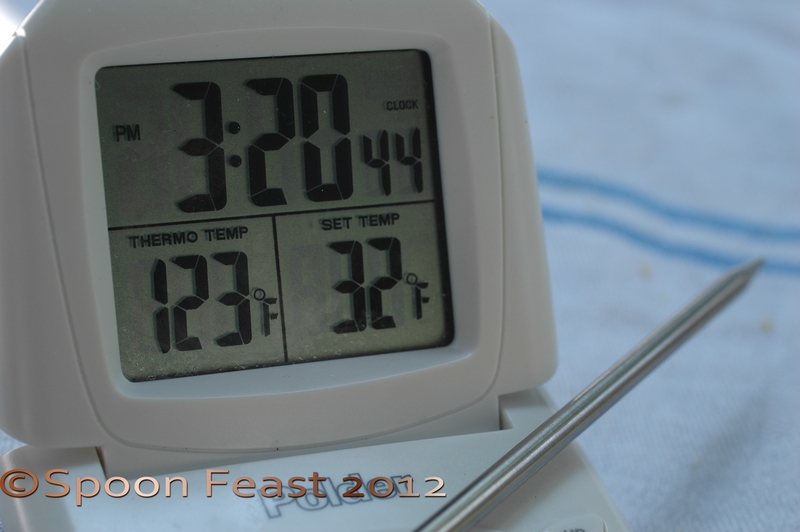 30 minute countdown begins, then temp to see if it has reached 190°F internally. I realize I can’t go inside for very long because I need to monitor the temperature and keep it steady at 450°. Sweat. Drink tea, sweat more drink more. I am drinking un- sweet tea with lemon and mint to keep hydrated. Ugh, it sure is hot. The only running I have done today is to the ladies room. Damn it gets hot out there quick! The courtyard is maintaining an ambient temperature between 118°F and 125°F with no air movement. Ek. Drink more and wonder about this idea of baking bread on the grill on the hottest day of June ever recorded here. It must be Bread Insanity. There is no other explanation. I wonder if I could grill a pie? Second loaf done! This is the one in the cast iron. 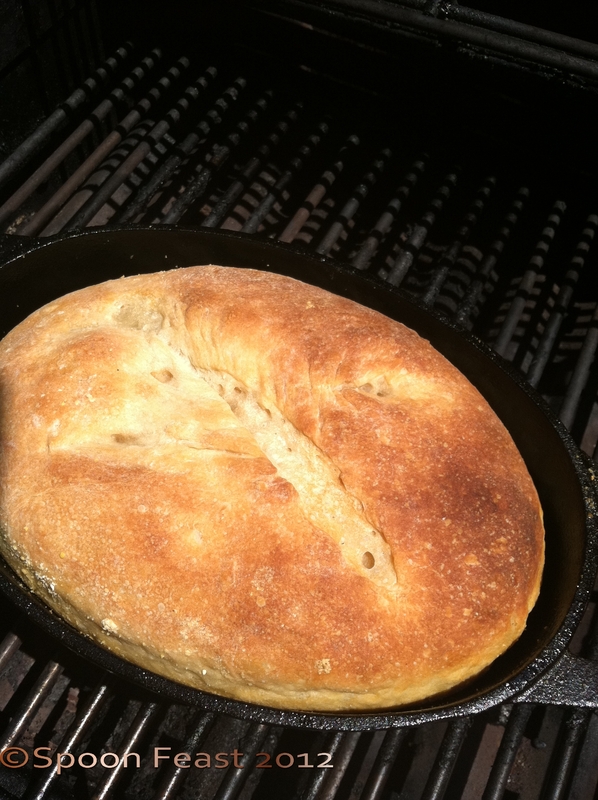 This entry was posted in basic skills, Cooking and tagged Baking, baking bread on the grill, Bread, Cast iron, Dough, grilled bread, Temperature. Bookmark the permalink. I’m coming down to get some bread!!! I love handling the dough, it feels so alive. There is nothing quite like it. Your brownies in the banana had me salivating! I made a note to buy bananas when buying food next. 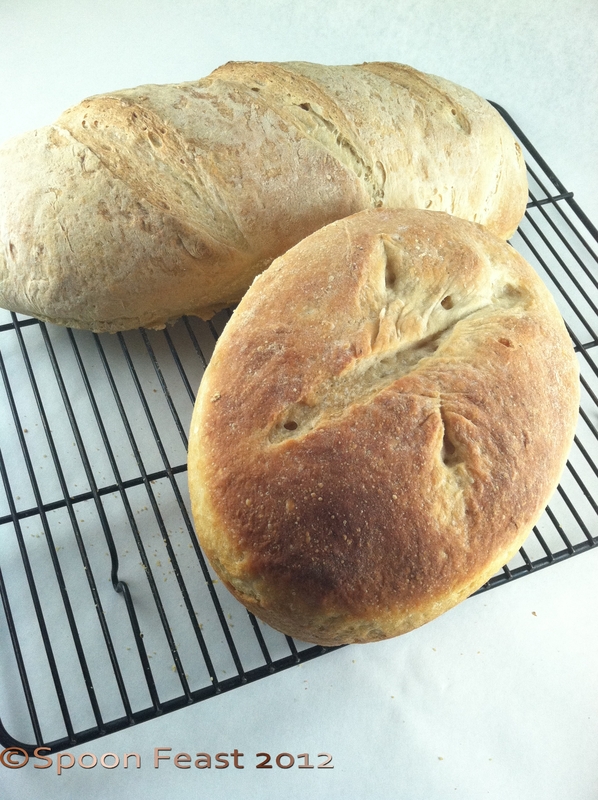 And when tomatoes are staring at you screaming “Tomato Sandwich!” you gotta make some bread! Purchasing is not an option, we like knowing what is in our bread. I am lucky to have the time to do it again. Thanks, Heather. It was nice not to have the heat inside for a change. 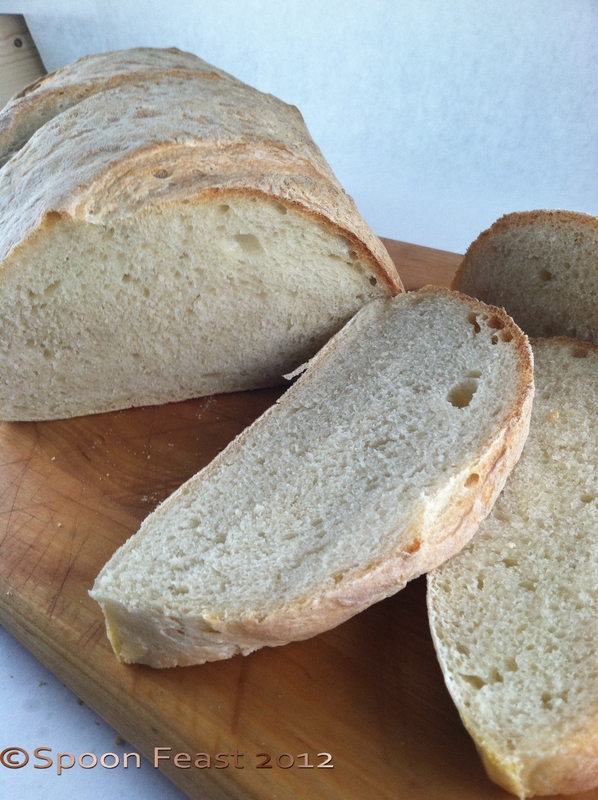 I think the bread gene comes from your mom; I remember grandma making bread all the time whenever we visited.